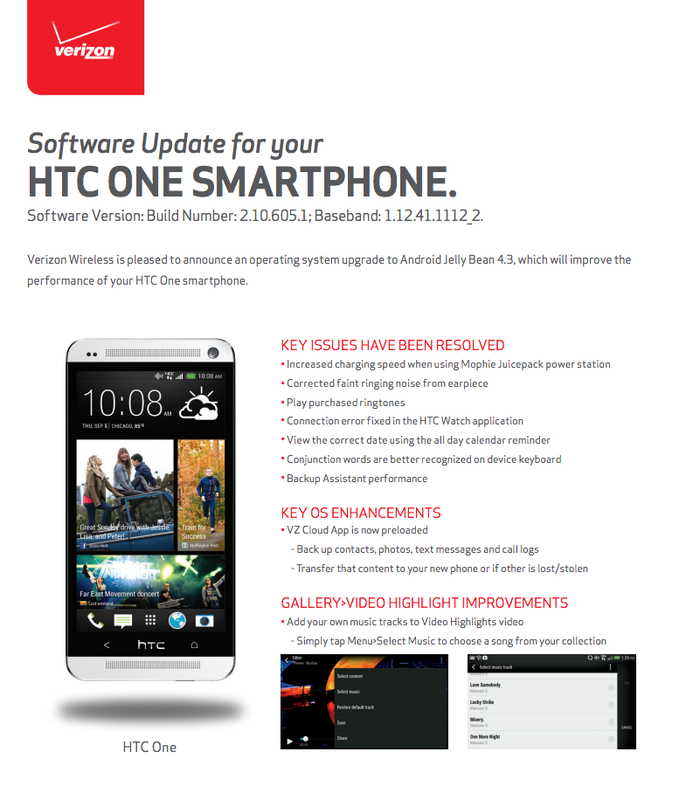 The HTC One on Verizon is ready to receive its Android 4.3 update this week. Tipped to have been approved by HTC’s executive director of product management, Verizon has now posted the support documents, making everything official and giving us all of the details surrounding this update, which as been finalized as build 2.10.605.1. In terms of new stuff after the update, users will see the ability to add their own tracks to Highlights videos. And that’s pretty much it. The rest is bug fixes for charging with a Mophie Juicepack, correction of faint ringing noise with earpieces, and the option to play purchased ringtones. Oh, Verizon also took a moment to add more bloatware to the phone. With approval by Verizon, I’d imagine we will see the update begin to rollout as early as today, with an extended rollout happening throughout the week.